The Queen's Baton received a Kulamba Ceremonial welcome from a Makishi dance troupe, on arrival in Lusaka, Zambia, on Sunday 26 January 2014. 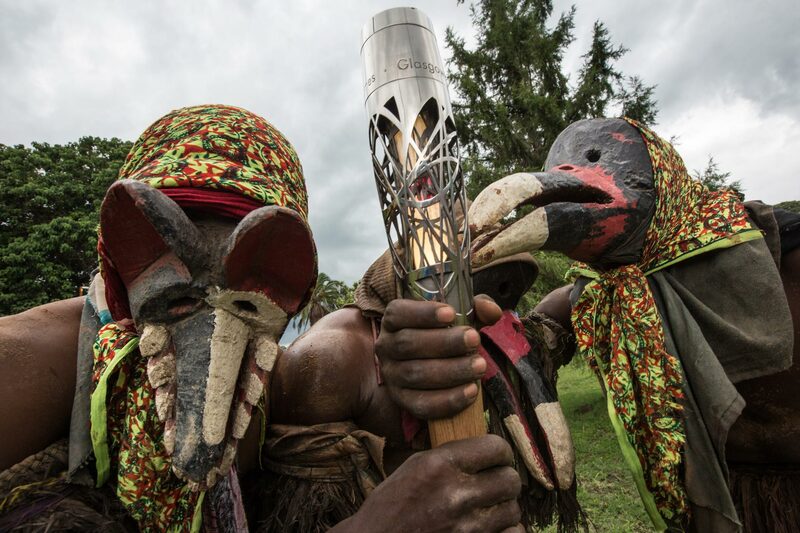 Zambia is nation 32 of 70 Commonwealth nations and territories to be visited by the Queen's Baton. Photograph by Jeremy Sutton-Hibbert, copyright © Glasgow 2014 Ltd, 2014.